1. Sprinkle the fruits with the raw sugar and orange juice. 2. Mix the granola with the coconut, almonds and yogurt. Divide the mixture among 4 warm tortillas and top with the fruit. Fold over the end and roll up. 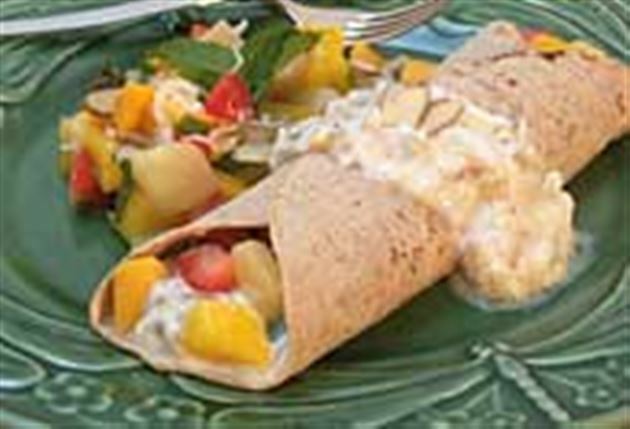 Enjoy this delicious tropical fruit salad breakfast Mexican food recipe!